Without further ado, it’s time to continue our 2019 consensus rankings by looking at our 1-20 dynasty third basemen. Ramirez is the best third baseman in Major League baseball. This also makes him one of the best baseball players in the world. 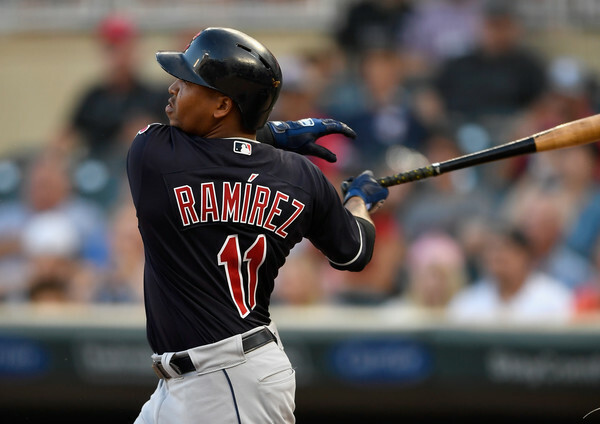 In 2018 Ramirez finished in the top of five of runs, RBI, home runs, walks, stolen bases, and OPS. Hard not to be a riser when it looks like you’re using Game Genie cheats to play Baseball. Now let’s figure out how he did it, and if we can count on the Game Genie going forward. Over the past three years, he’s significantly improved his ISO, Pull%, BB%, and Fly balls. He’s a switch hitter, so you might think, oh maybe he’s taking the ball the other way. No, he’s not, 33 of his 39 homers came from him batting left-handed. Guy loves to pull the ball. Bregman had himself one hell of a breakout in 2018. Essentially becoming the Nolan Arenado of the American League, he played outstanding defense while also crushing the ball. Last season he posted an astounding .396 wOBA, which was good for top 3% in the league. Of course, when you’re eclipsing the 30 homers, stealing 10 bags, and walking more than you’re striking out; that’s going to happen. Hey, have you heard that Colorado is a great place to hit baseballs? The Rockies have what appears to be a robot constructed from the future to optimize third-base play. Four straight years of upper-thirties to low-forties home runs, five years of a .280+ batting average, and three straight years of being in the top 7% in wOBA. To say that Nolan Arenado has established himself as an elite option at third base still feels like an understatement. The dude is a terminator, or a man made from clay that the Rockies sculpted for Coors field. Regardless of how this terminator came to be, he is a great fit for Coors. The Cubs’ third baseman stock has fallen due to injury. There’s some major concern over Bryant’s shoulder and his long term performance. Perhaps a buying opportunity here for dynasty owners who are rebuilding, or the need to sell to immediately. Which might it be? Traditionally the slugger has posted ISOs over .200+, and had little trouble surpassing 25 home runs. His streak of three seasons with 25+ home runs came to a sudden stop in 2018 when he was only able to eke out 13. Bryant also saw declines in his exit velocity, ISO, and slugging. His baby-blue eyes, though, remained mesmerizing. The King of the North is coming. A 70-grade hit tool paired with 70 in-game power, and then a tremendous track-record of making the minor leagues look like they are T-ball. 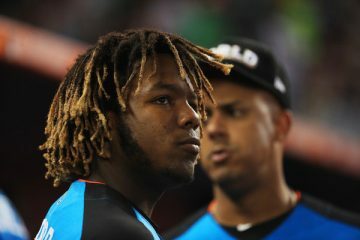 Vladdito is going to be an absolutely amazing baseball player. In Double-A last year he batted over .400 and destroyed 14 baseballs in 266 at-bats. Then he was promoted to Triple-A, where he managed to walk more than he struck out (11.7% BB, 7.8% K), and hit another six homers. The world keeps on turning, burning, and Rendon just keeps doing what he does. Rendon put up fantastic numbers in 2017, and then guess what? He had an almost identical season in 2018. There are some interchangeable numbers between the two seasons(25 vs 24 HRs, 81 vs 88 RBI), and even areas managed to outdo himself in 2018. Most impressive was the quality of contact Rendon made; increasing his barrel% by nearly 4%. The lead to an impressive .543 xSLGing, which was good for top 4% in the MLB. Though some believed there was no way he would block Nick Senzel, Suarez proved the haters wrong and held off the top draft pick, so let’s get into why. Suarez’s approach at the plate is fantastic, though he swings and misses a little more than we’d like (23.4% K-rate). However, the major change between pre and post breakout here is the authority he displayed when hitting baseballs. He actually swung the bat more, maintained his strikeout rate, decreased his walk rate, and increased his contact. Specifically: his hard contact (45.5% in 2018). The results? Above average exit velocity, launch angle, and average home run distance, and a slashline of .283/.366/.536.The above-average home run distance is of particular importance because we can speculate that the power increase is not simply a component of playing in the Great American Ballpark (further proof- Suarez hit 19 of his homers at home and 15 away). Oh, the beautiful awkwardly-shaped Baby Devers. The youngster’s first full season in the bigs didn’t quite live up to the massive amount of hype that accompanied him. Poor batted-ball luck (.281 BABIP), some pretty gruesome defense (-3.0 Def WAR), and too many ground balls (46.2%) resulted in an underwhelming season. So, are we buying low on the baby third baseman, or are we trying to sell as post-hype? Chapman had an incredible 2018, slashing .278/.356/.508. Everything looks legitimate and sustainable when analyzing Chapman, with the exception of his batting average. Chapman’s BABIP jumped to .290 to .338, and that’s likely unsustainable even though he crushes the ball (he finished in the top-five in exit velocity). Chapman has managed to possess a BABIP above .300 only once in the minors. There’s still hope for Chapman’s average as well. Take a look at his batted-ball data from 2018. A big boy who was once considered a bench bat has turned into an elite power threat. Hitting over a combined 63 homers the past two years, Shaw has become a force at the plate since his arrival to Milwaukee. The league took notice of Shaw’s new found power and started pitching around him. Shaw managed to bump his walk rate to 13.3%, as the majority of the pitches he saw in 2018 were out of the zone. Nick Senzel returns to the upper echelon of our third base rankings, if only at a slightly lower position than he occupied last season. Senzel’s offensive prowess makes him almost certain to make a major impact in the bigs. But Senzel has two major questions to answer moving forward: 1) Where does he play for the Reds? and 2) How big of a factor is his vertigo? Question #1 is easy to answer. 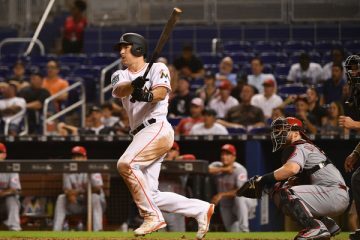 The Reds are eager to bring him up, and the clearest path to playing time is in the outfield now that Suarez and Gennett are dominating Senzel’s primary infield destinations. So… outfield it is! Long-term Senzel should earn multi-position eligibility, which will only boost his dynasty value. *ranks calculated as if all eligible were on the list. Where would you put Machado if he goes to a team that asks him to be a 3B? 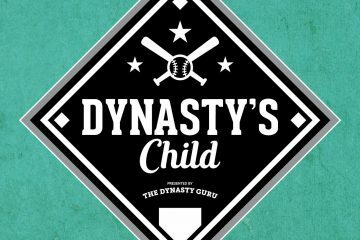 Thanks to everyone for all these great write ups … this offseason has a lot of great info to read about thanks to DynastyGuru.